Jeremy England, an assistant professor at the Massachusetts Institute of Technology, has derived a mathematical formula that he believes explains this capacity. The formula, based on established physics, indicates that when a group of atoms is driven by an external source of energy (like the sun or chemical fuel) and surrounded by a heat bath (like the ocean or atmosphere), it will often gradually restructure itself in order to dissipate increasingly more energy. This could mean that, under certain conditions, matter inexorably acquires the key physical attribute associated with life. 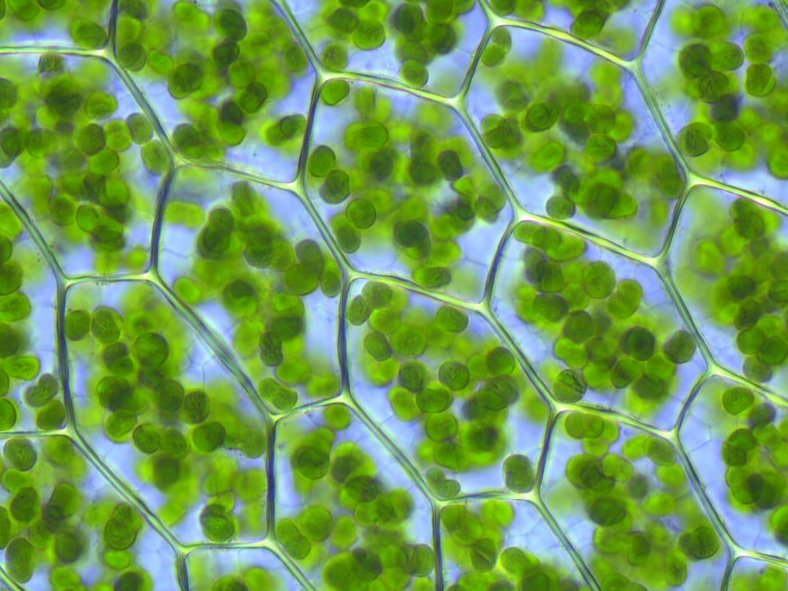 Kristian PetersCells from the moss Plagiomnium affine with visible chloroplasts. His idea, detailed in a paper and further elaborated in a talk he delivered at universities around the world, has sparked controversy among his colleagues, who see it as either tenuous or a potential breakthrough, or both. Courtesy of Jeremy EnglandA computer simulation by Jeremy England and colleagues shows a system of particles confined inside a viscous fluid in which the turquoise particles are driven by an oscillating force. 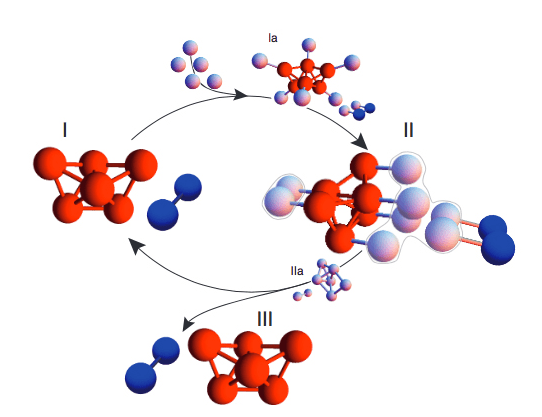 Over time (from top to bottom), the force triggers the formation of more bonds among the particles. Hot things cool down, gas diffuses through air, eggs scramble but never spontaneously unscramble; in short, energy tends to disperse or spread out as time progresses. Entropy is a measure of this tendency, quantifying how dispersed the energy is among the particles in a system, and how diffuse those particles are throughout space. It increases as a simple matter of probability: There are more ways for energy to be spread out than for it to be concentrated. Thus, as particles in a system move around and interact, they will, through sheer chance, tend to adopt configurations in which the energy is spread out. Eventually, the system arrives at a state of maximum entropy called “thermodynamic equilibrium,” in which energy is uniformly distributed. A cup of coffee and the room it sits in become the same temperature, for example. Courtesy of Michael Brenner/Proceedings of the National Academy of SciencesAccording to new research at Harvard, coating the surfaces of microspheres can cause them to spontaneously assemble into a chosen structure, such as a polytetrahedron (red), which then triggers nearby spheres into forming an identical structure. Self-replication (or reproduction, in biological terms), the process that drives the evolution of life on Earth, is one such mechanism by which a system might dissipate an increasing amount of energy over time. In a paper in the Journal of Chemical Physics, he reported the theoretical minimum amount of dissipation that can occur during the self-replication of RNA molecules and bacterial cells, and showed that it is very close to the actual amounts these systems dissipate when replicating. 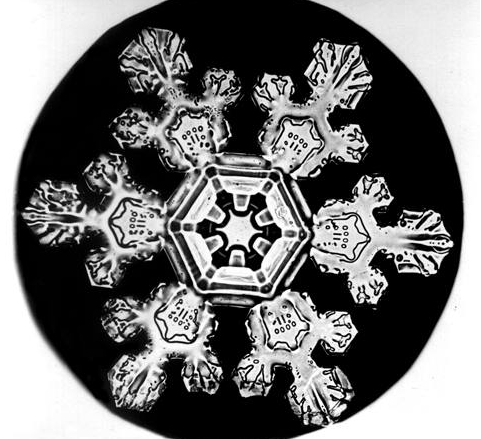 Wilson BentleyIf a new theory is correct, the same physics it identifies as responsible for the origin of living things could explain the formation of many other patterned structures in nature. England’s bold idea will likely face close scrutiny in the coming years. Read the original article on Quanta Magazine. Copyright 2016. 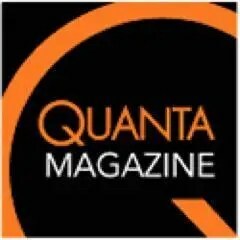 Follow Quanta Magazine on Twitter.